Progressive Chat: Trump vs Republicans: Bob Corker edition. 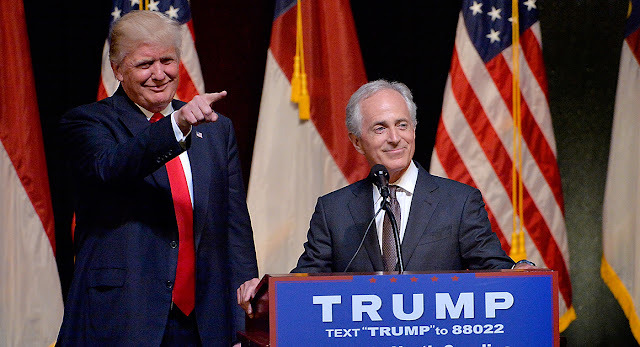 Trump vs Republicans: Bob Corker edition. Instead of making friends, Trump wakes up early on a Sunday, and twoops (tweets and poops) attacks are at Republican Senator Bob Corker. Who mind you, is not a NeverTrump Republican, he actually stumped for him!! While Corker's response was an intense clapback and warranted, it's certainly a sad state of affairs. Trump has successfully brought a Senator down to his level and has them fully engaging with him in school yard taunts.